Our good friend, Mark Ruefenacht of Heusser Neweigh (http://www.neweigh.com/) and a Mass Metrology Instructor at NIST, pointed out that most mass calibration laboratories will issue certificates of calibration only listing conventional mass (unless True Mass is requested). 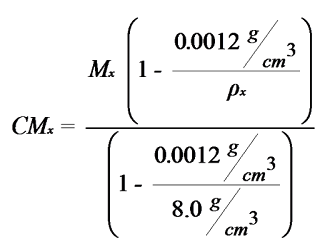 This may create some confusion for those trying to convert the Conventional Mass of a mass reference standard to the True Mass. 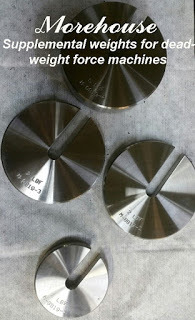 This blog post hopes to give you some simple solutions to calculate both True Mass (used in Force measurements) and Conventional Mass (typically used on weighing instruments). M = True Mass of the artifact. Term “mass” is always used in the strict Newtonian sense as a property intrinsic to matter. 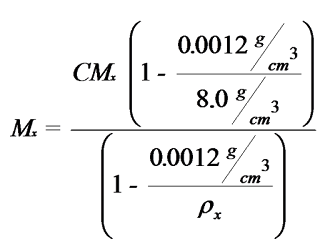 This property is sometimes referred to as “true mass” or “mass in vacuum” to distinguish it from conventional (apparent) mass. CM = Conventional Mass of the artifact. 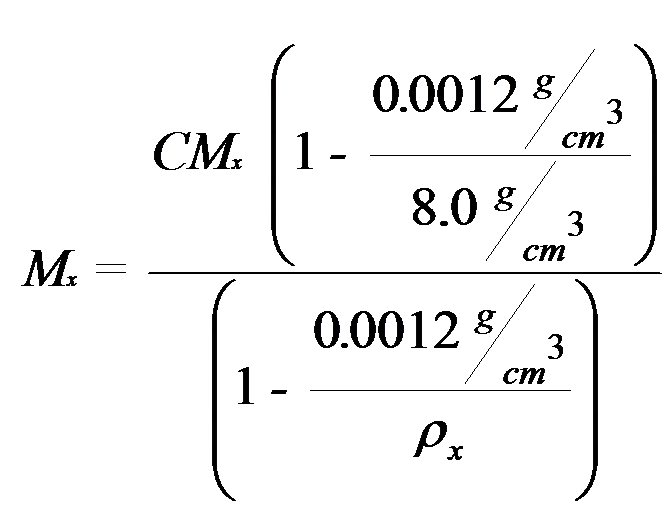 The conventional mass is defined as the mass of material of a specified density that would exactly balance the unknown object if the weighing were carried out at a temperature 20 °C in air of density 0.0012 g/cm3. Air Density is typically in the range of 0.0011 g/cm3 to 0.0012 g/cm3. Stainless steel weights (mass reference standards) typically have a material density in the range of 7.85 g/cm3 to 8.03 g/cm3. Cast iron weights (mass reference standards) typically have a material density close to 7.2 g/cm3. By international convention (recommendation) Weight Calibration Certificates typically report conventional mass values and/or conventional mass corrections. Gravity corrections must be made to mass reference standards to be used in “force” applications. 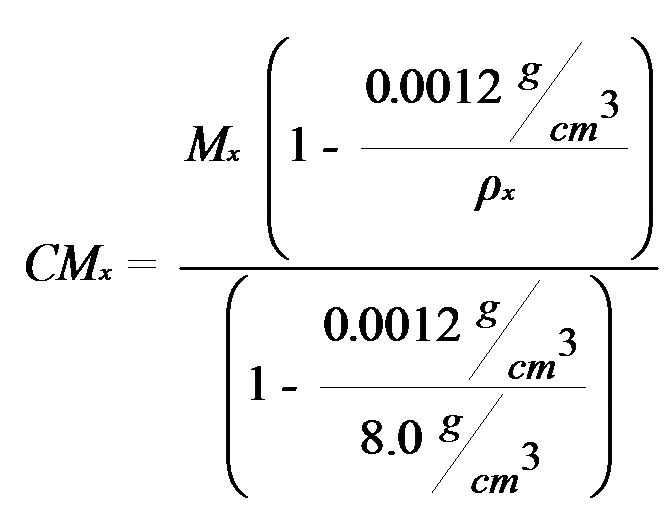 The conventional mass must be converted to the true mass before applying a gravity correction. Note: 9.80665 = the factor converting SI units of force into the customary units of force. For SI units, this factor is not used.